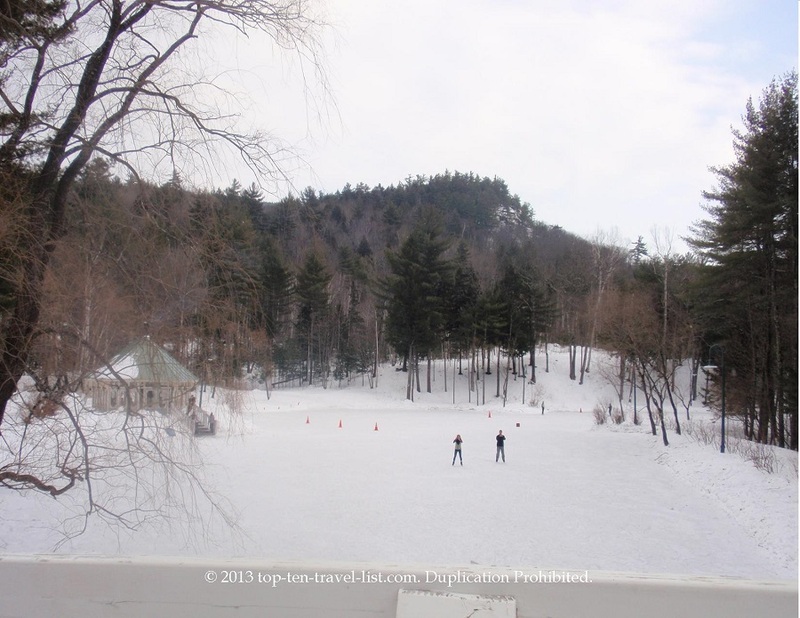 A weekend in the White Mountains of New Hampshire - Top Ten Travel Blog | Our experiences traveling throughout the US. This past weekend I decided to take a trip up to the White Mountains in New Hampshire. I have visited the White Mountains during the spring for a hiking trip, but this was my first winter trip to the area. I decided to book a hotel at Merrill Farm Resort in North Conway. Although not the best, the inn was adequate for a short stay, located within close proximity to most attractions, and offered a few small amenities such as a continental breakfast and cookies and cider in the afternoon. North Conway is a beautiful small town located about 3 hours from Boston. The town was decorated very nice for the holidays with all the local businesses complete with their own décor. The picturesque mountains and pine trees mixed with the brisk air made for a wintry atmosphere. There are plenty of unique restaurants and shopping in the downtown area in addition to a local ice rink set up for the winter months. 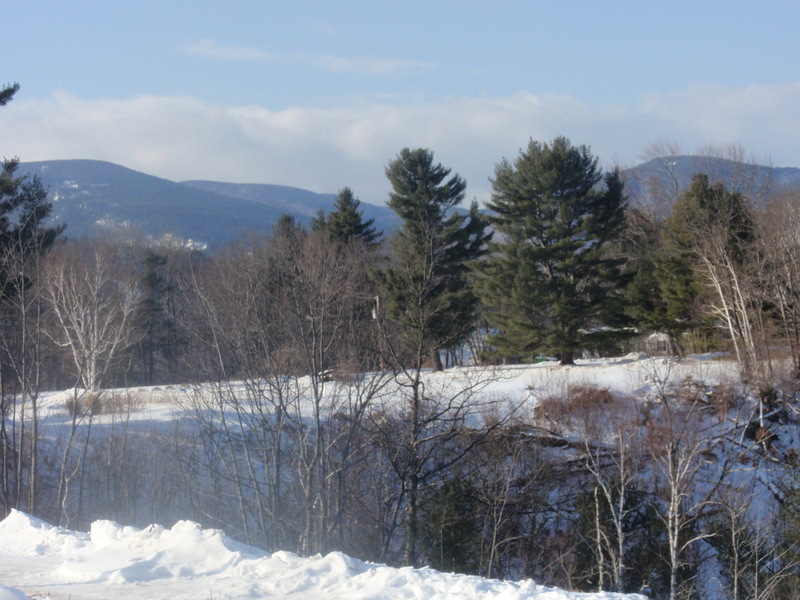 Cranmore Ski Resort is located within town, and many of the area’s inns and resorts offer ski and stay packages. One of the biggest tubing parks in the country is located at the resort. 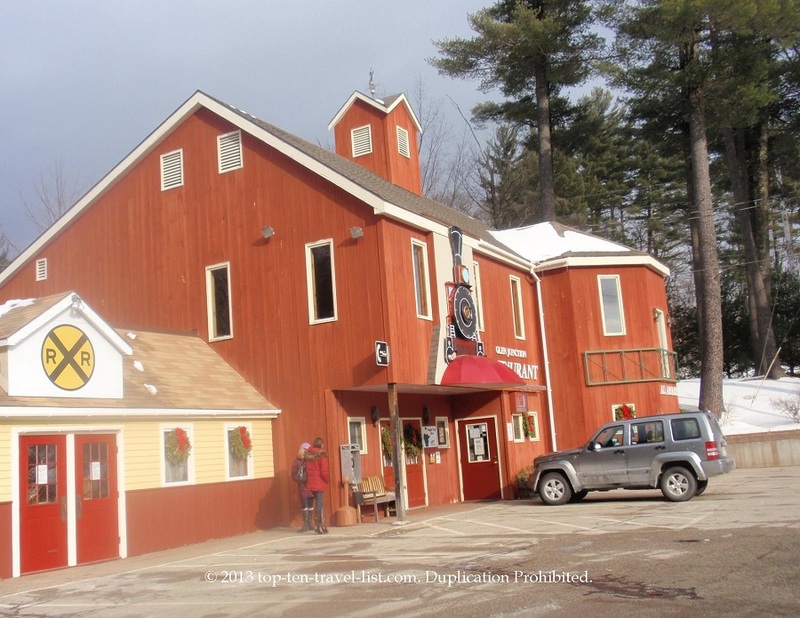 Unfortunately, I did not have enough time to check out the resort on this trip, however, I did have a chance to visit another great attraction – Nestlenook Farm located in Jackson, New Hampshire. Nestlenook Farm truly is a winter wonderland this time of the year. They have the largest outdoor ice rink I have ever seen. 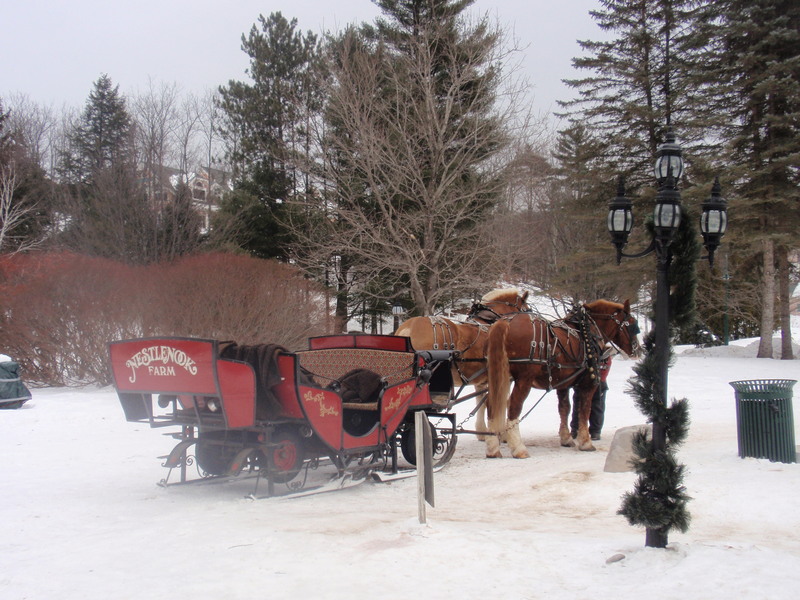 Also available are sleigh rides and snowshoe rentals. What a nice setting: outdoor fire pits, chime music, lights, and the beautiful mountains and pine trees in the background while you are skating. I highly recommend making room for this resort on your itinerary. One of my first stops on the trip was visiting Settlers’ Green Outlets – home to more than 60 outlets stores including Coach, Banana Republic, Nike, and more. I highly recommend the Waterford Crystal and Brookstone outlets, both of which offered fantastic prices. I haven’t seen outlet locations of these stores anywhere else, so I took advantage of the great deals. Another bonus is the tax free shopping in New Hampshire! One of my favorite shops in town was a placed call The Christmas Loft – what a fantastic store! They had walk through animatronics scenes, several large collections of light up house villages, and plenty of unique decorations and gifts. I highly recommend stopping in to shop or just take a look at the beautiful decorations. 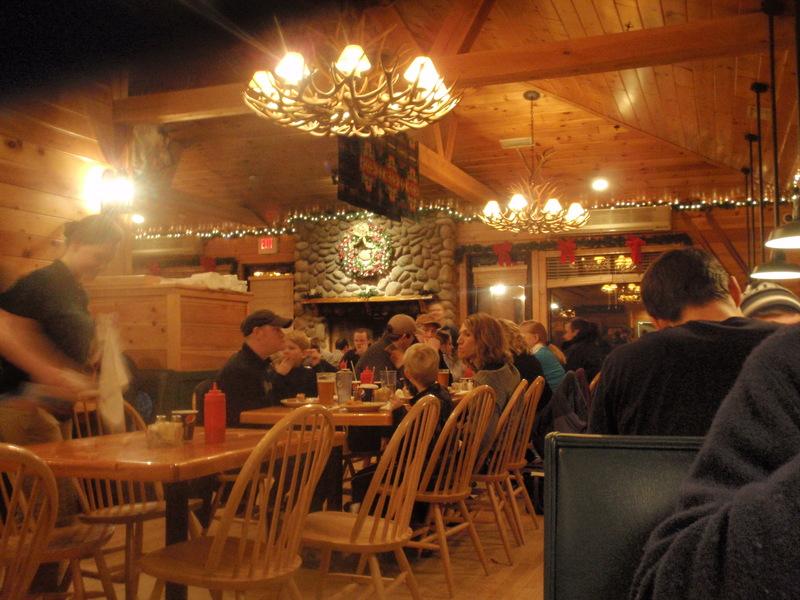 Muddy Moose Restaurant and Pub (plenty of choices for everyone and a great woodsy/log cabin atmosphere). If I had to choose one of these it would definitely be Muddy Moose for the woodsy mountain atmosphere. Check out the antler chandeliers and great stone fireplace! I definitely recommend taking a trip up to North Conway and Jackson this winter season. A picturesque New England town with stunning views of the mountains; there are activities for everyone, plenty of different resorts and inns to suit every style, and dozens of options for independent shopping and restaurants.